This is the second painting I completed based on an observational painting of Little Corona in Southern California. The second painting was an attempt to revisit my initial idea for this series, while changing some of the rules I had established for myself. I started this using the same initial grid and basic color shapes of the first, but intentionally varied the second layer, and broke the grid as the painting progressed. I was curious to see where those early changes would lead the rest of the painting. 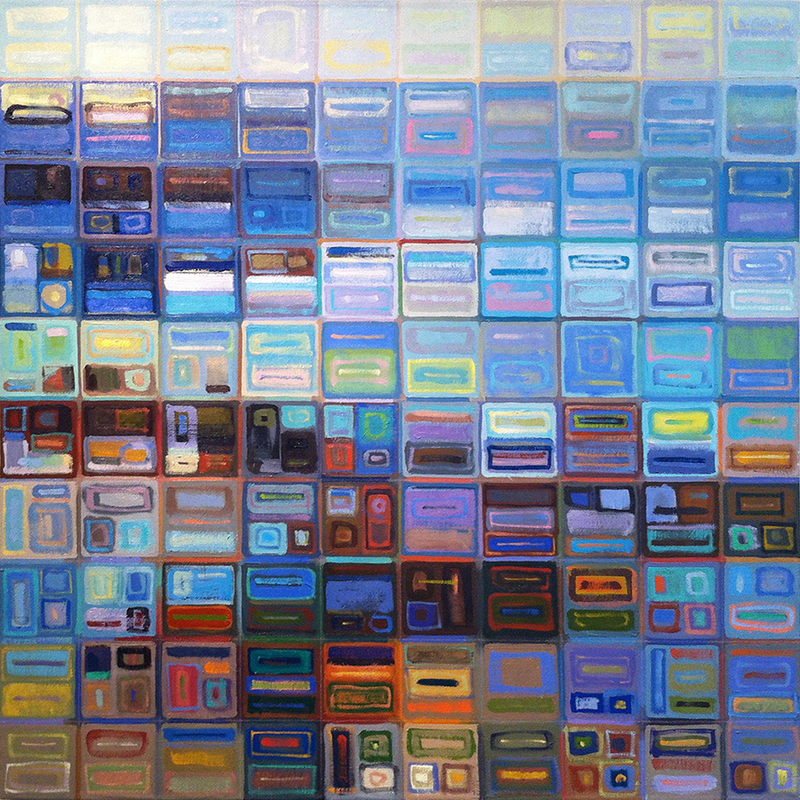 Each renegotiation of color took the structure of the painting further from the first one, even as I moved to reach a similar overall color dynamic. 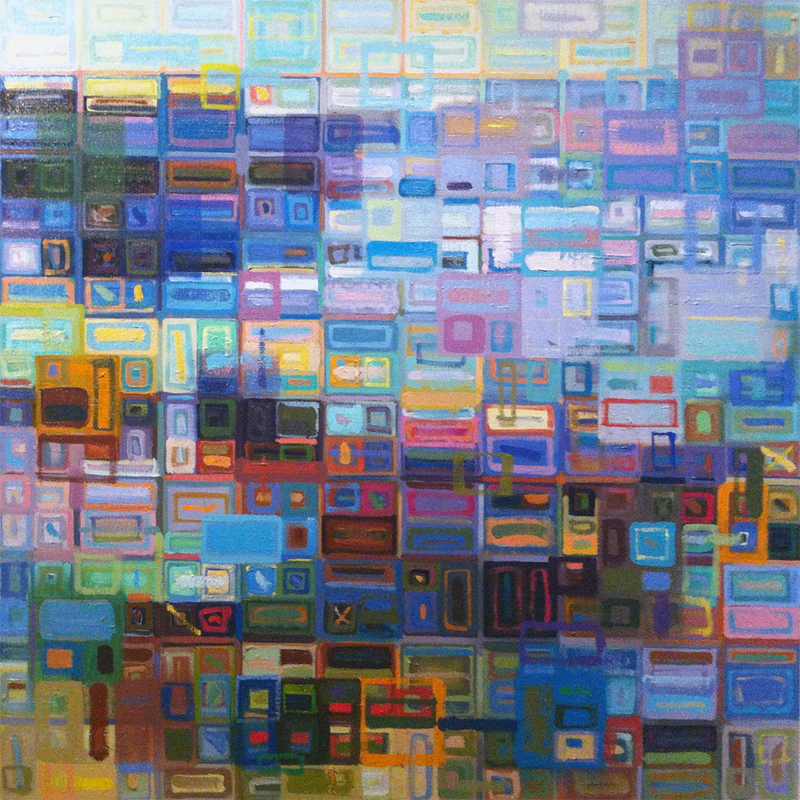 This entry was posted in California, Grid Work Paintings, Landscape Painting on May 15, 2013 by Joe Forkan.